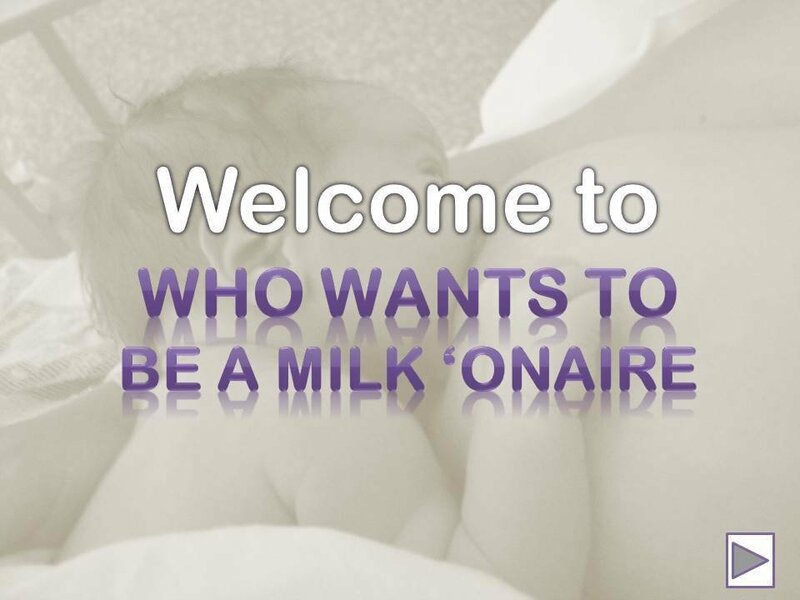 A 'who wants to be a millionaire' - style quiz for breastfeeding. PowerPoint presentation. Includes all answers and full instructions for facilitator. Can be used for big, small groups or one to one breastfeeding education. 15 questions with three lifelines each. Whether you let participants use the once or as often as they like is up to the facilitator to decide. Also includes pdf file of all the slides.